How to manage — and cull — the influx of paper that comes into your home every week. The constant influx can be overwhelming. 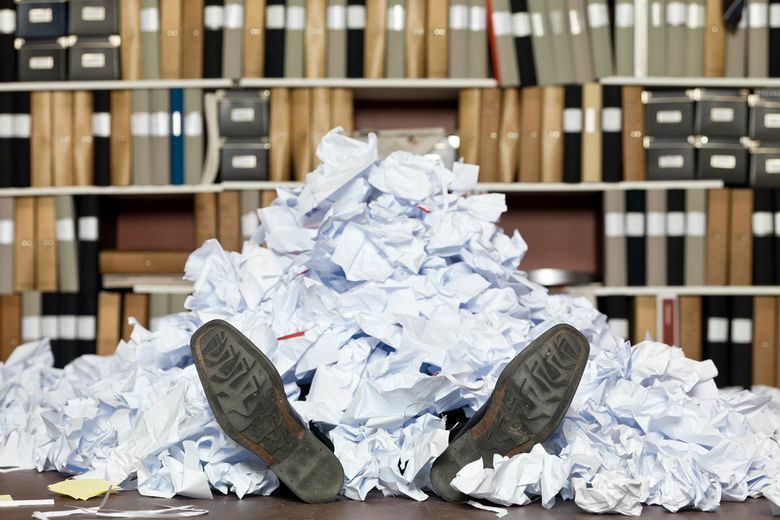 It takes time to sort through papers, to decide whether to keep something and to properly put documents away so we can easily find them later. The key to paper management is to keep it simple and be consistent. Don’t let yourself get buried before you develop a system. Now, while it’s still the beginning of the year, is the perfect time to get started. • Keep all of your tax returns and the supporting documents for seven years. Every year but the current year can be kept in a labeled plastic filing box on a shelf in your basement or in a guest-room closet. • Copies of things like your will, health-care power of attorney and living will, financial power of attorney, as well as information on how to access all of your accounts should be kept in a portable plastic fling box that is clearly labeled so people can easily find it in the event of a tragedy. If you don’t have some of these documents or haven’t updated them in the past decade, prioritize getting them done and update existing documents where necessary. • Often people want to keep hard copies of bank and credit card statements for a year, even though they can access those records online. It is totally fine to keep paper copies in chronological order. Just shred the prior year and start fresh for 2019. I recommend people keep monthly investment statements until the end of the year and keep their year-end statements for five years. • Things like utility bills don’t need to be kept once the payments have cleared your bank. Receipts for charitable contributions should be printed when the donation is made or when you receive a receipt for a contribution and filed with the current year’s tax documents.